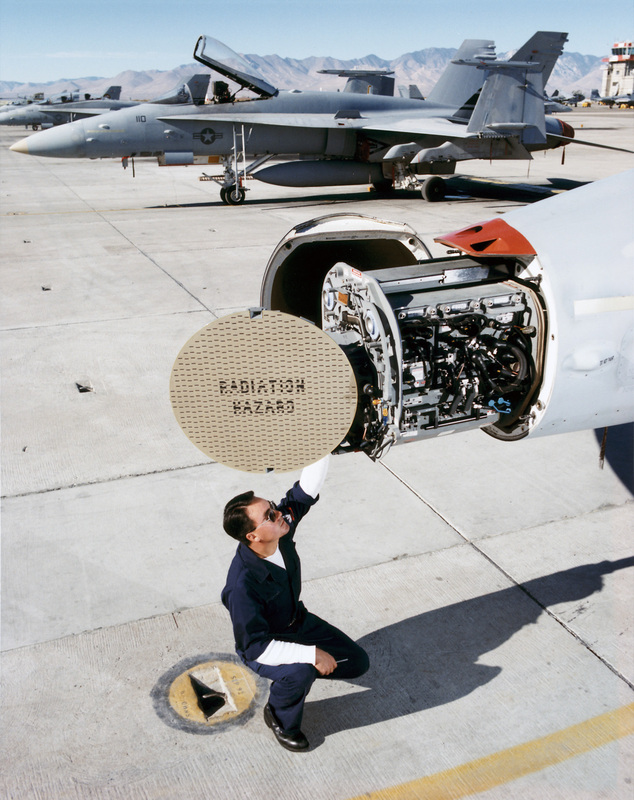 The AN/APG-73 is an X-Band multimode fire-control airborne radar that was developed in the 1980s by Hughes Aircraft Company Radar Systems, El Segundo, California. The APG-73 has been operational in US Navy and Marine Corps F/A-18C, D, E, and F aircraft since 1992 and in the air forces of Finland, Switzerland, Malaysia, Australia, and Canada. The manufacturer was Raytheon. The last APG-73 was delivered in June 2006. The APG-73 is an all-digital, multimode radar for use in both air-to-air and air-to-ground combat missions. It is an all weather, coherent, multimode, multi-waveform search-and-track sensor based primarily on the AN/APG-65 design, with technology crossovers from the APG-70 and APG-71 radars. The APG-73 uses the same antenna and the same traveling wave tube (TWT) transmitter as the APG-65, but it got a new data processor, power supply and receiver/exciter. The upgrade gaves increased memory, bandwith, frequency agility, and higher analogue/digital sampling rates. Advanced technology has provided the system with much better electronic counter-countermeasures, mainly through flexible software in the processors which allow the radar to adapt quickly to different threats. The programmable signal processor also allows the system to adapt quickly to new weapons or tactics by software changes rather than hardware modifications. Faster analogue-to-digital conversion improves the radar resolution cell and the new signal processor improves Doppler resolution. This enables better discrimination between closely-spaced targets. The AN/APG-73 will recently be replaced by the AN/APG-79.